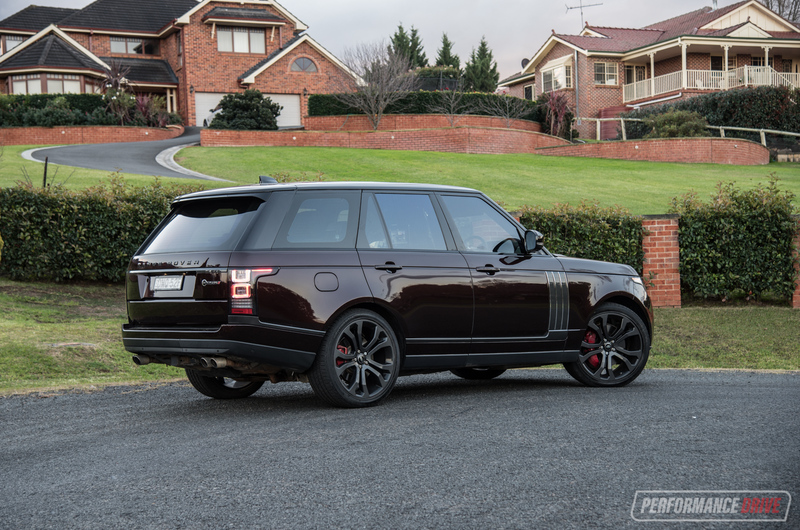 If you have heaps of money you just have to buy one of these. You just do. 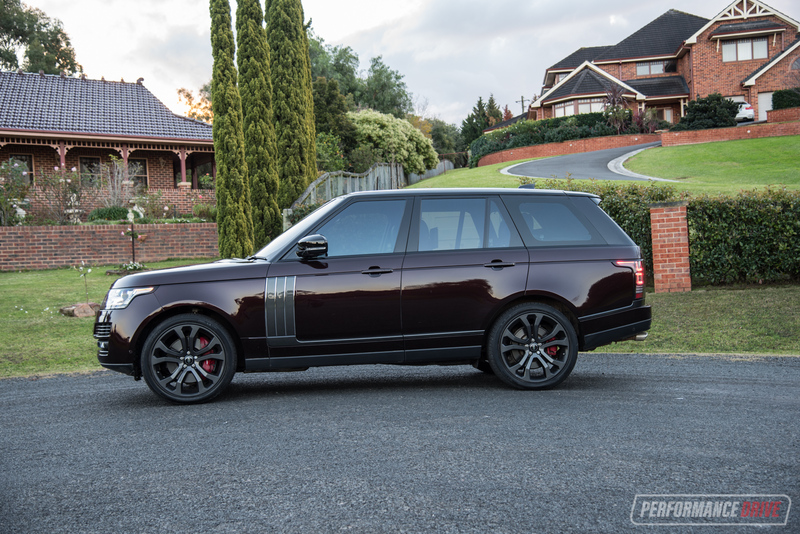 Taking in that grand nameplate, the Range Rover SVAutobiography Dynamic is easily one of the greatest, most decadent, do-all production vehicles on the market at the moment. 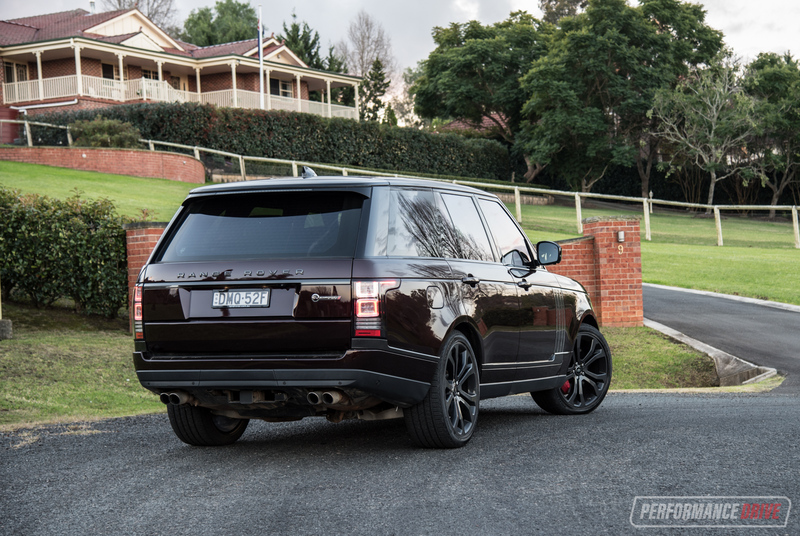 It’s based on the proper, grand daddy of Range Rover models – not the popular but smaller Sport. 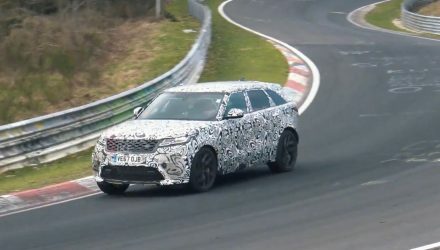 However, the ‘SV’ in the name means it’s the result of the mad men behind Jaguar Land Rover’s Special Vehicle Operations division. So, everything is turned up to 11. 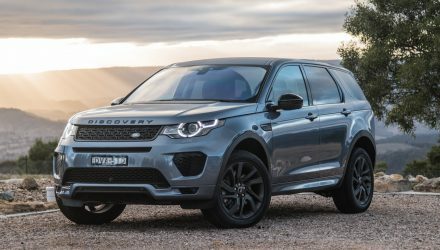 From the comfort and luxury, to the pampering first-class appointments, to the epic 5.0-litre supercharged V8 offering a tarmac-dislodging 405kW and 680Nm; it’s all about being at the pinnacle of SUV motoring. Of course, for this level of superiority there is a price to pay. 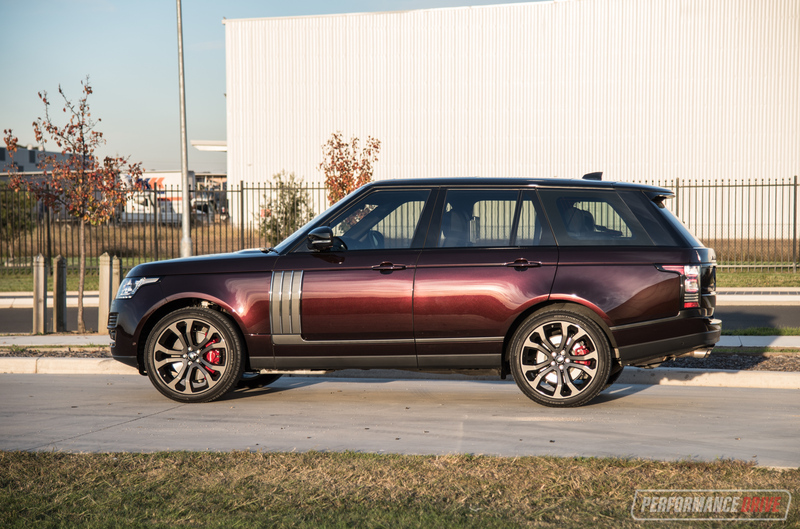 You’ll have to dish out at least $316,000 to get your order in, and after you’ve added some must-haves such as special 22-inch alloy wheels ($2500), paint from the SVO pallete ($8500 or $14,600 for premium selection), a carbon fibre engine cover ($4150), and the panoramic sunroof ($820), the bill quickly climbs to around $350,000 by the time you’ve added on-road costs. But hey, there’s no point in complaining about the price of gold. Envision the interior of a first-class private jet. 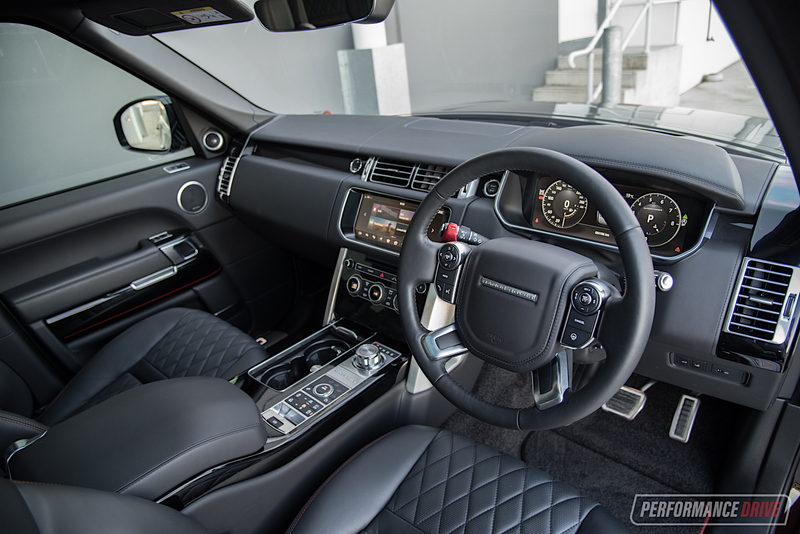 That’s what it’s like opening the door on the SVAutobiography Dynamic. You’re immediately greeted with unmistakable luxury and expensiveness. For example, the plush floor carpets are so thick and succulent that it feels like you need to take your shoes off before you get in. And then the seats are finished in diamond-stitched, ultra-soft, high-quality leather that you can smell even if you breath in through your mouth. In the front you’ll notice these seats are actually chairs. Arm chairs, in fact. Not car seats. And you’re left perched up high like royalty, with the traditionally low window sills allowing you to peer down on your peasanty road-going peers. Even the headrests soothly cradle the back of your head, with super-soft cushioning. In our opinion, these are the most comfortable seats available in a production vehicle today, especially with the adjustable armrest folded down. You’ll need to be a pretty important person or very rich to own one of these as it’s difficult to justify ever getting out; your destination will have to be worth it. 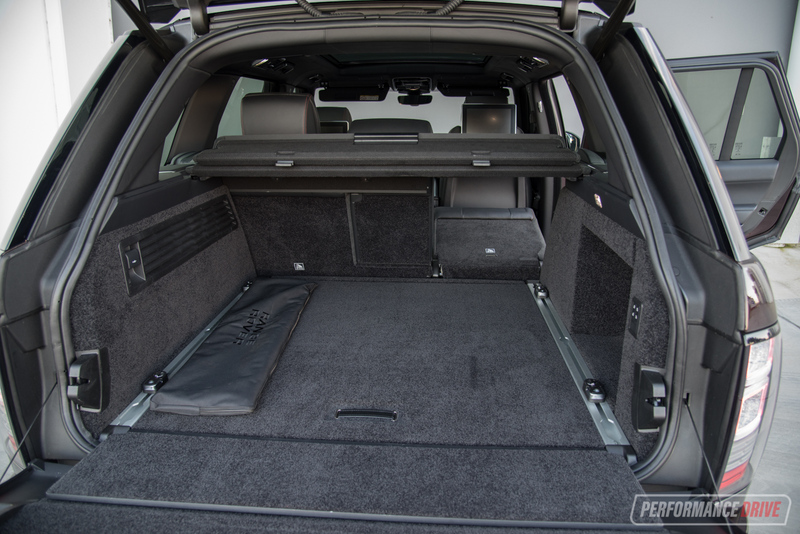 For the rear-seat goers it’s no different. 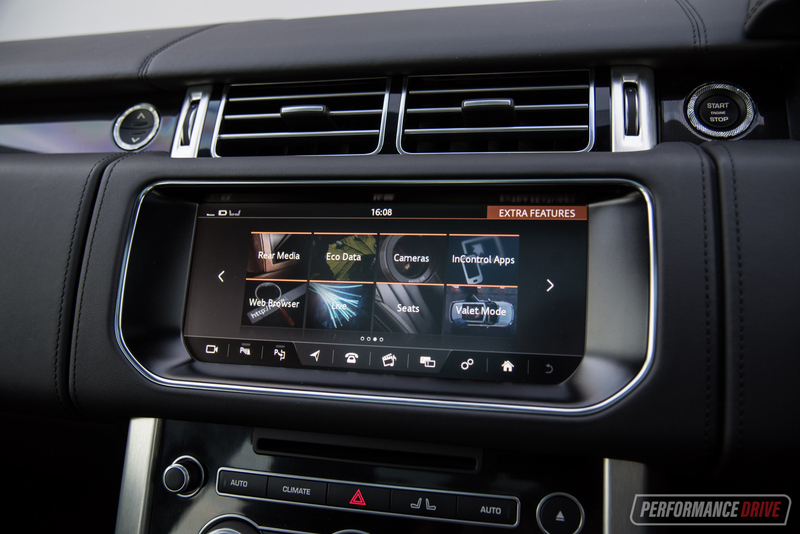 This test vehicle is fitted with the no-cost option entertainment package that adds two 10-inch LCD touch-screen monitors, paired with seperate headphones. 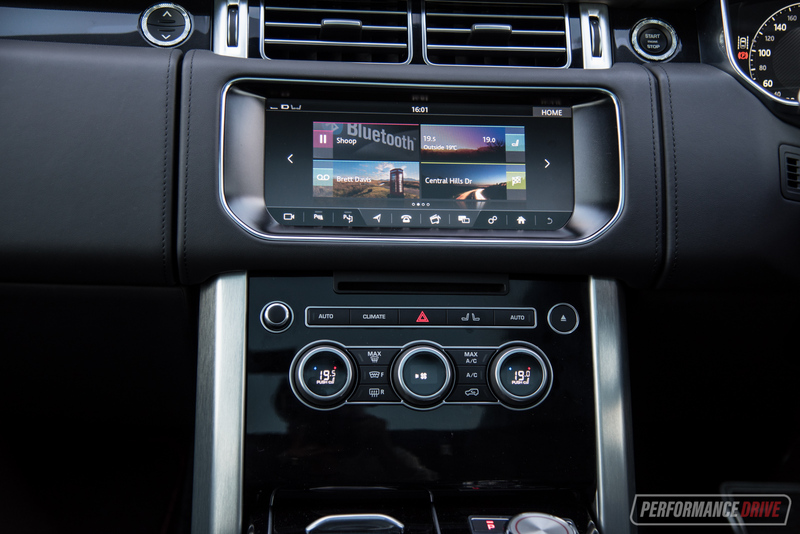 There’s also individual climate controls mounted on the back of the centre console, with beautifully-finished windowed temperature dials matching the ones in the front. Legroom is no issue, and headroom is only going to be a problem for very tall people, but even then the seatback can be reclined (electronically) for more clearance. 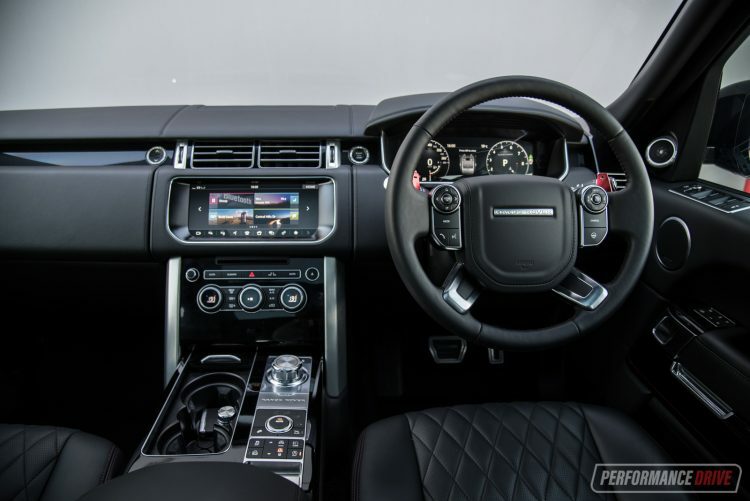 Jaguar Land Rover is usually notorious for presenting extensive options lists. With this ‘SVA’ the list isn’t all that daunting. 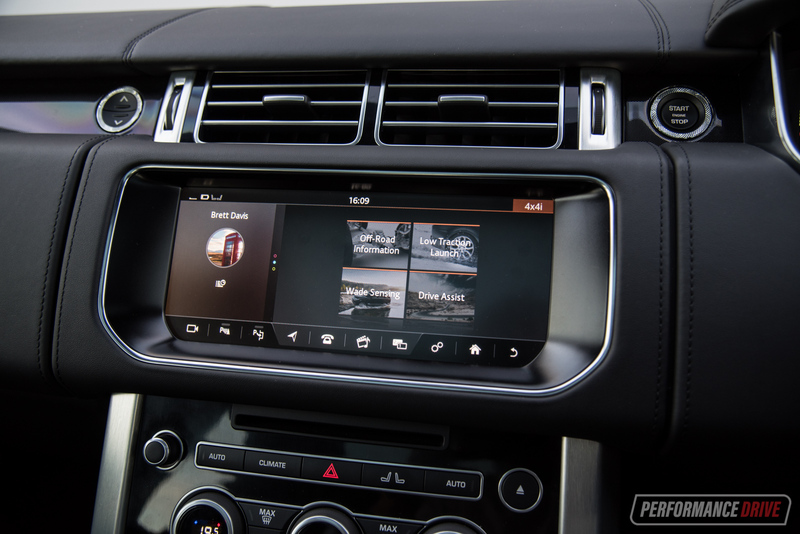 You have the options mentioned above, and then there’s some infotainment-based InControl extras, water crossing sensors and towing packages, and that’s about it. You can (and probably will) customise the interior and exterior via the many colour combinations on offer to help separate your beast from anyone else’s. This can be expensive. But the choice is yours. 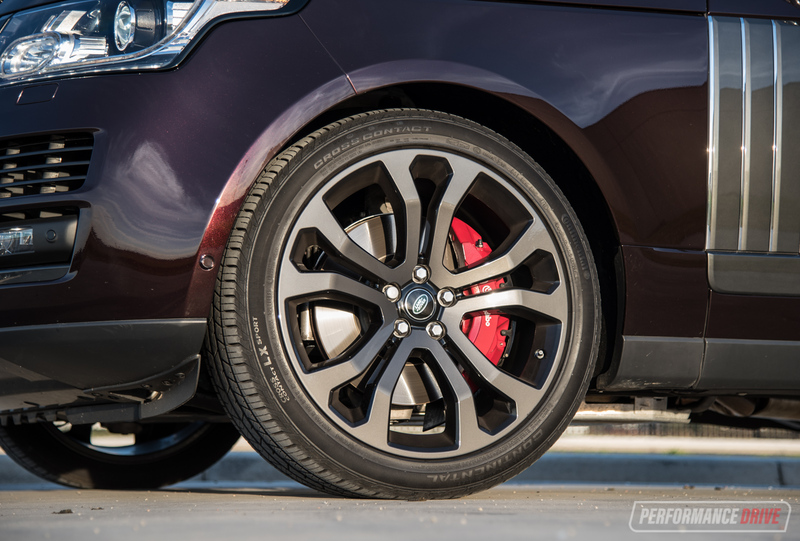 As standard the SVA comes with a comprehensive driving suite, with multiple driving modes for on and off the road, along with height adjustable air suspension front and rear providing 220mm and up to 295mm of ground clearance. Being the Dynamic means it has a performance edge and comes with Brembo brakes and adaptive sport ride control. You also get three external cameras so you can keep an eye on the terrain, adaptive cruise control, a fully digital instrument cluster, and even a switchable chiller/fridge under the centre console armrest. 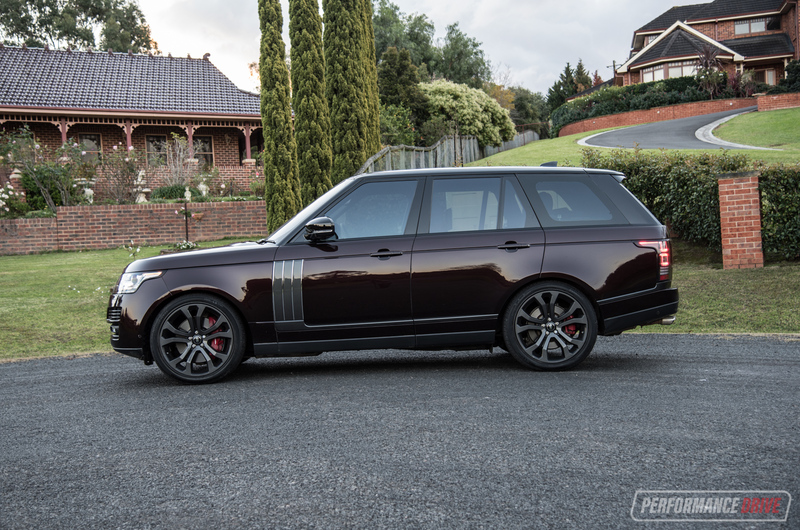 Power and torque reserves from the bellowing V8 are immense. Even though this land ship tips the scales at a hefty 2457kg (tare), the engine has no problem getting it all up and moving. If you entomb the go-pedal deep into the thick carpet for a few seconds, the speedo needle will swing well past the national speed limit and just keep twirling relentlessly. It doesn’t stop. From the outside this is a sight to behold, as the juxtaposition of its enormity versus the speed with which it hurls past you trips your brain. 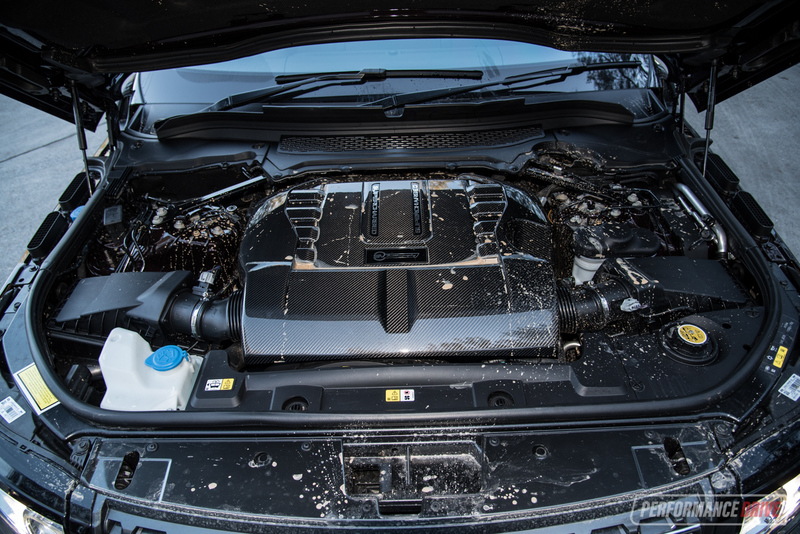 This engine is seen in some other high-performance Jaguar Land Rover models, such as the F-Type R and the Range Rover Sport SVR. However, we think it actually sounds the best here. 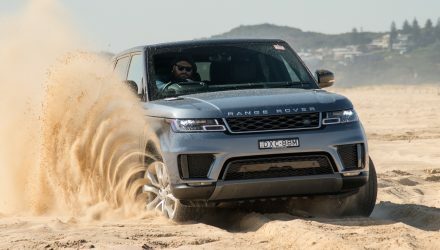 SVO has done a great job of syncing the sound with the luxury personality of the model, leaving a refined and somewhat reserved yet powerful and tremoring growl. Have a listen in our video below to see what we’re talking about. In terms of the measured performance stuff, we timed a best 0-100km/h in 5.50 seconds (just off the official claim of 5.4), with the quarter mile coming up in 13.60 seconds. 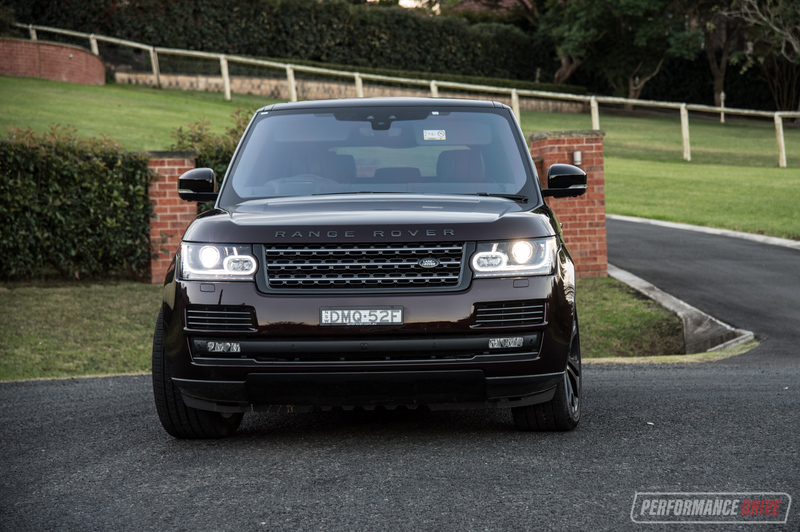 This is incredibly quick for a massive SUV like this. 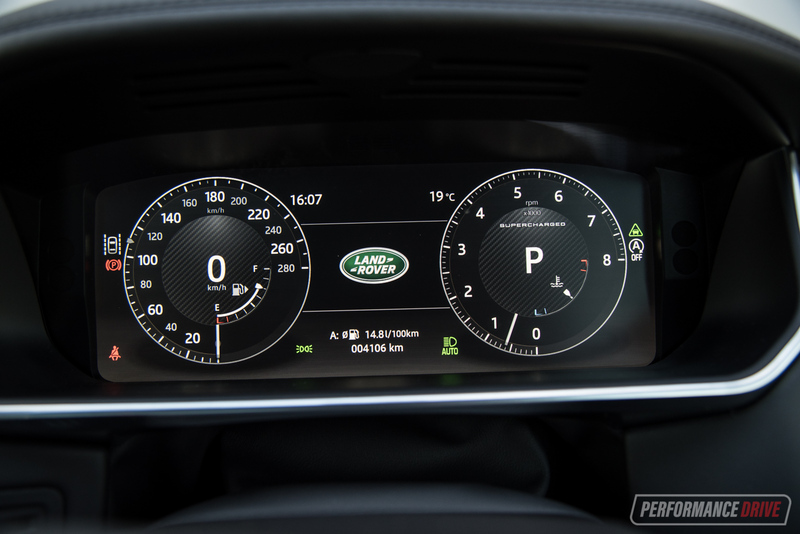 Braking performance is also commendable, with the 100-0km/h emergency stop coming to a close in 39.59 metres. 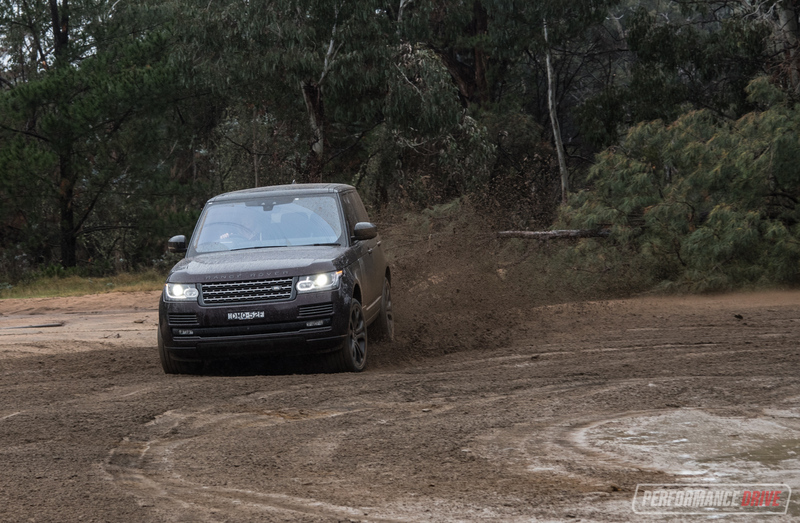 Along a winding road the big SVA doesn’t mind being thrown about a little. The heavy weight is noticeable the more aggressive you become with the steering wheel, but body stability is excellent for this type of vehicle. Changing directions quickly is probably the weakest link and this is to be expected as the laws of physics are hard to ignore. 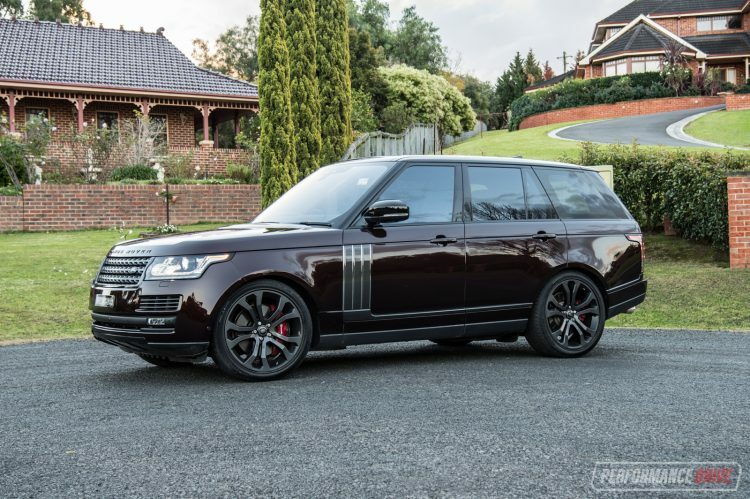 Under more civilised yet spirited driving demands the SVA can be threaded down your favourite route with a high level of enjoyment and rhythm. One of the best aspects of the SVA is that it really is multi-purpose. When you’re done having fun listening to that angry V8 engine, you can select the normal driving mode and just cruise. It’s gentle around town with a soft throttle response making it as easy to drive as any other SUV. The steering is nicely-weighted with good feedback coming through, allowing you to know exactly where the vehicle is placed on the road and in the lanes. We think those lucky enough to buy one will enjoy purring around town just as much as nailing the throttle in the country. It’s a stately and majestic mode of transport. 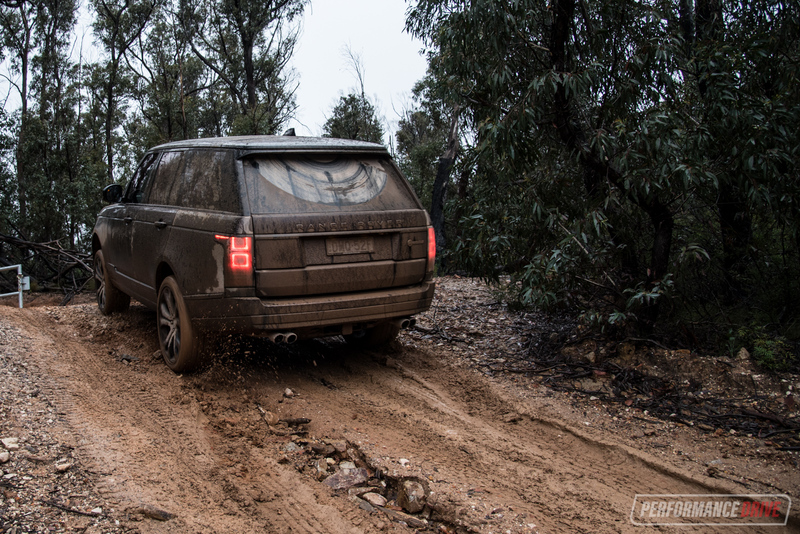 Range Rovers are synonymous with off-road ability. So, we thought it was necessary to test this. Admittedly, we didn’t pitch the beast up the gnarliest of off-road tracks in fear of damaging the mesmerising, Mescalito Black paintwork. Instead we took on some very wet muddy tracks, including some rather steep and slippery ascents. 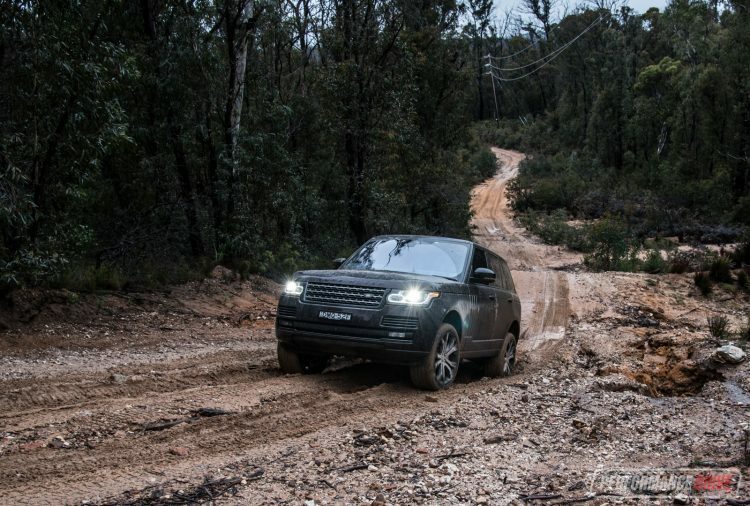 Here we were able to experience the clever all-wheel drive workings, letting it calculate the terrain and torque delivery by itself. 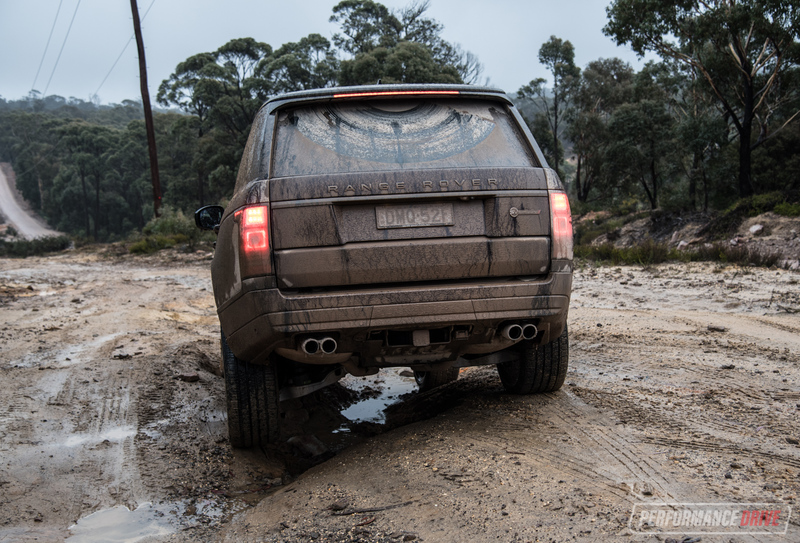 It’s amazing that such a large vehicle with relatively low profile tyres is able to navigate its way through such conditions without any hesitation. With the suspension raised at the highest setting, there’s more than enough clearance to get you over most mounds and sudden ditches without touching, and the grip from the 275/40 Continental CrossContact tyres is surprisingly reassuring. 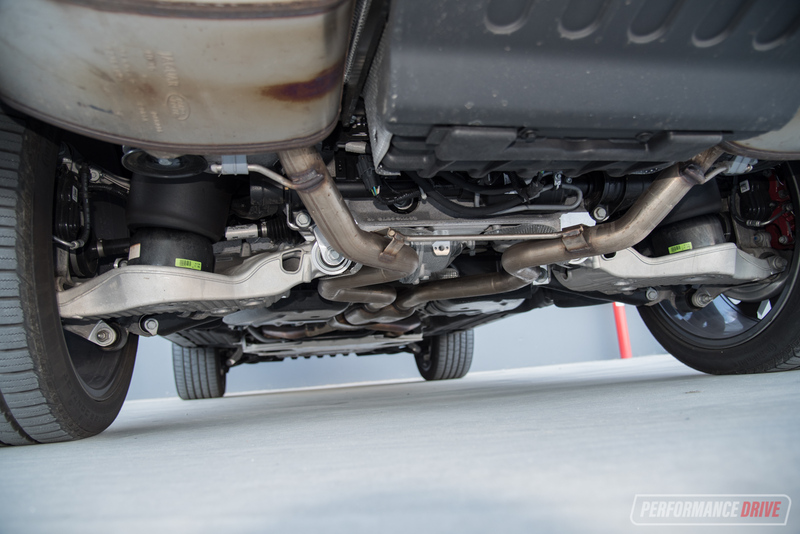 It does use independent suspension all around, which can hinder outright off-road performance. But in reality you don’t buy one of these to take on competition-level adventures. 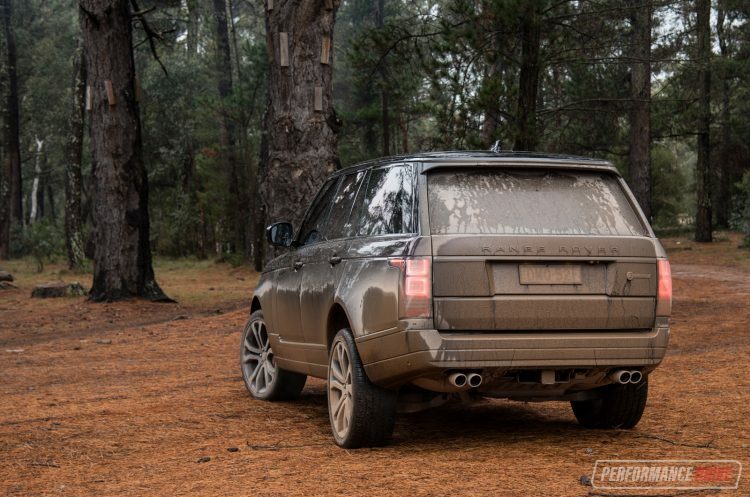 Overall off-road ability, from what we can see, is superb. It is a genuine SUV and not a pretend one, like so many others out there. 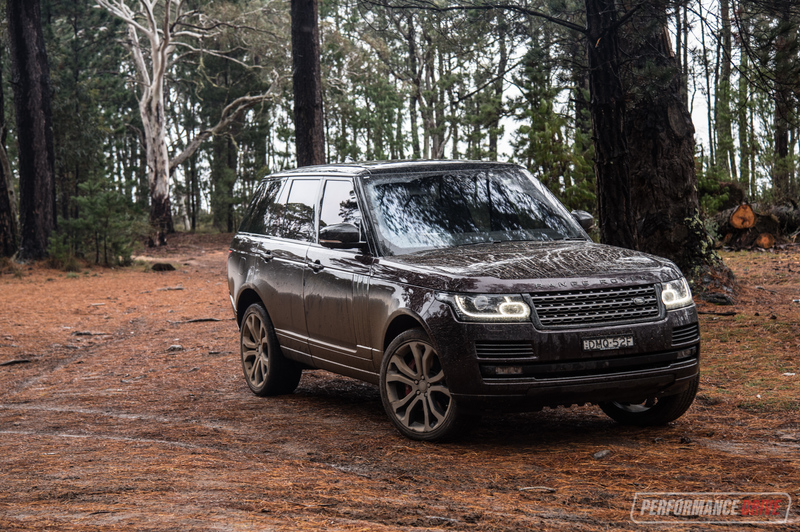 There isn’t much not to like about the new SVAutobiography Dynamic. 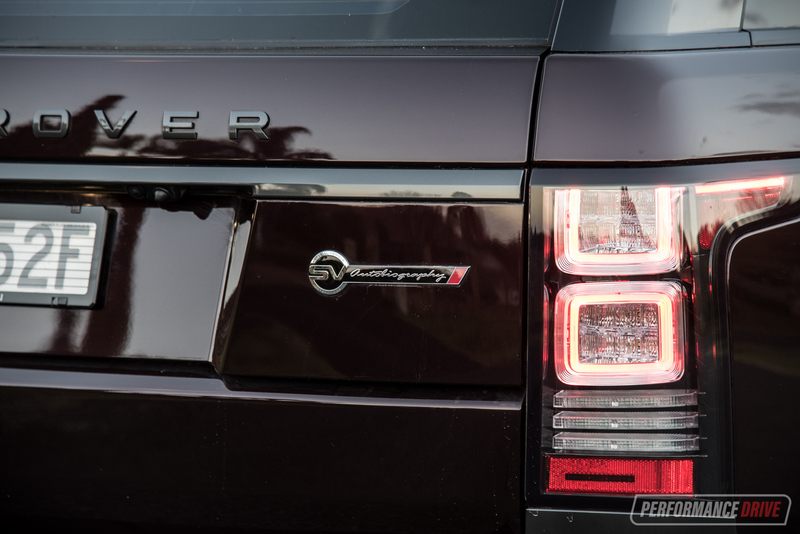 It garnishes every aspect of motoring with exceptional luxury, laced with technology and loads of heritage, and all powered by a beast of an engine. 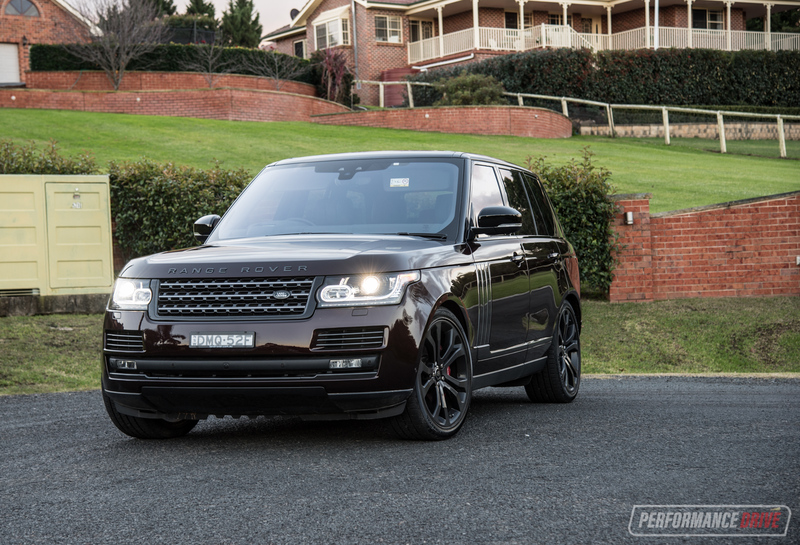 Best yet, it’s a Range Rover; perhaps one of the most likeable automotive brands out there. All of this does come at a cost obviously, and that means it’s only going to be available to those at the top end of the market, adding further exclusivity and lust. – Weight – for the price, needs more carbon fibre?